This first assignment was a simple introduction to web services and ASP.net. The task was to build a simple calculator web form. For extra credit, also build a binary number converter and a feature to count (literally) the 0s and 1s in the resultant binary number. In this assignment we were supplied with a text file of a selection of Brisbane postcodes/Suburbs and which we needed to read in, process and return the postcode given the selection of a dropdown menu. In the second part we needed to provide a converter between a day/month and its corresponding zodiac sign. The Postcode Finder part of this assignment required us to use an asp:updatepanel object and to prove its use by printing the System.DateTime.Now outside the updatepanel. For the zodiac converter, I used a simple case statement to return the dates given a zodiac. The requirements had us enter the day and month as separate strings in the web form. To return the zodiac given the day/month I simply concatenated them and compared them as a number in the form “mmdd”. 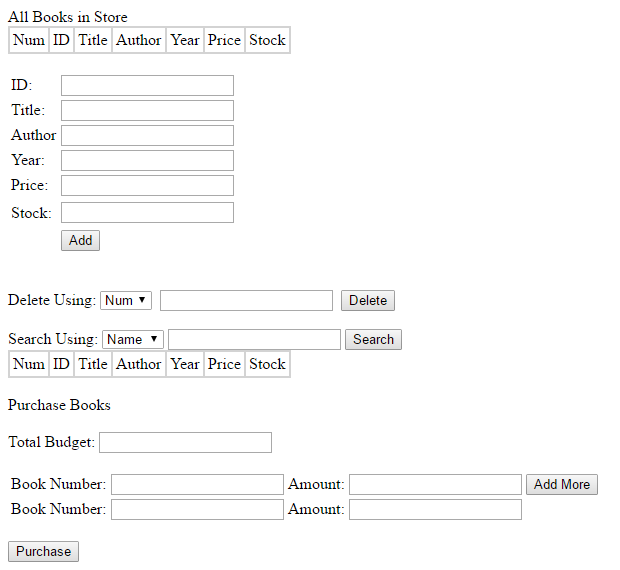 This task was to create a simple (and mock) book store application – add, search, delete, and purchase books. We only needed to save to a text file (CSV) as database use was beyond the scope of the course. I’ll only show code samples of the more interesting features. 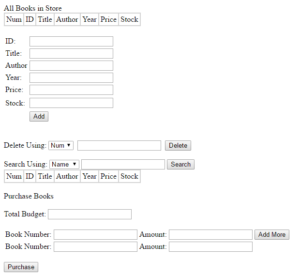 // WriteBooks writes the list of books to the file in CSV format. For purchasing the books, we didn’t need to actually decrease stock or money, since it was just an exercise in creating web services, rather than actually building a book store.